Vicky Brown is a gifted singer and speaker who has dedicated her life to reaching others through her songs and testimony. She was born in Dallas, Texas, and weighed less than three pounds. As she began to grown, her parents noticed she was not developing at the same rate as other children her age, so at the age of 16 months, they took her to the Texas Scottish Rite Hospital for Children. She was diagnosed with Cerebral Palsy, and for the next 15 years, she endured three surgeries on her legs. She was five years old when she took her first steps. At the age of three, her father instilled in her the love for music by teaching her to sing Jesus Loves Me. Her father would invite friends over and they would bring their instruments over and have jam sessions with Vicky's family. At the age of eight, Vicky accepted Christ into her life and the rest, as they say, is history. When she was 18, Vicky felt God calling her into a music ministry, but unfortunately, life choices took her away for God for about eight years. Vicky tells us, "One night, God spoke to me during a thunderstorm and told me that I needed to get back in church or face His judgment. I was miserable in my sin. I prayed right then, while lying bed, and I rededicated my life to God. I was in church the very next Sunday, making my commitment public." Vicky's music ministry began in 2006. 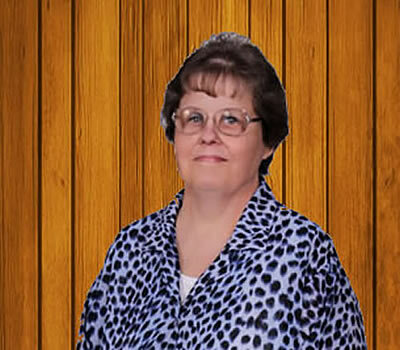 Her mom taught her to love Southern Gospel music, so she began learning that type of music and singing it all the time. She's added additional music to my repertoire and she now offers Southern Gospel, Country Gospel and Hymn music. She wants to sing songs that give joy to everyone while reaching every heart and soul with the message of Christ. Vicky sings because she believes God has called her to sing for Him, so she goes on a love offering basis. As she says it, "God opens doors for me to do so, and I love Him and want everyone to know the same God I know personally." If you would like bring Vicky to your church to spread the Gospel through song and testimony, call her today!